Good morning, this is Topher from Washington Church of Christ bringing you your message minute. 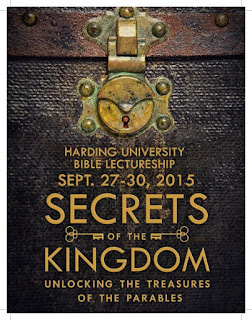 I'm recording this morning from the wonderful Harding University Lectureships, in Searcy Arkansas, where masses of people have gathered to focus on "The Secrets of the Kingdom; Unlocking the treasures of the Parables." Some might say, "Topher, you're a pretty smart guy already, why are you driving 6 hours to go to more classes?" Truth told, no one has said that, but they still might! I drove here because of what my dad has often shared with me. "Son, you learn something new every day." It doesn’t matter how much gray hair we have, how many books are on our shelf, or how many self-help tutorials we’ve watched on Youtube, you and I can continue to increase in wisdom. Let’s start by Reading the Bible, sit at the feet of a gray-haired-guru, or simply pray for wisdom and that we may have what Jesus calls, "eyes to see and ears to hear." Invest time learning wisdom today. You'll be glad you did! Message Minutes are sponsored by Washington Church of Christ andrecorded for public 107.9 The Memories WAMW morning radio program. They air at approximately 7:35am on Weekday Mornings. To find more of the Message Minutes that have been uploaded to this blogCLICK HERE. Gabriel Wiles chose to clothe himself with Christ in baptism on September 20th, 2015. He first questioned us concerning baptism on May 18th, 2013. After much study and consideration of forgiveness of sins, Gabriel again brought up the subject and after meeting with the elders he came forward at the end of Sunday morning services. Here's the moment of joy on video! "A wise son listens to his father's instruction," Proverbs 13:1a. 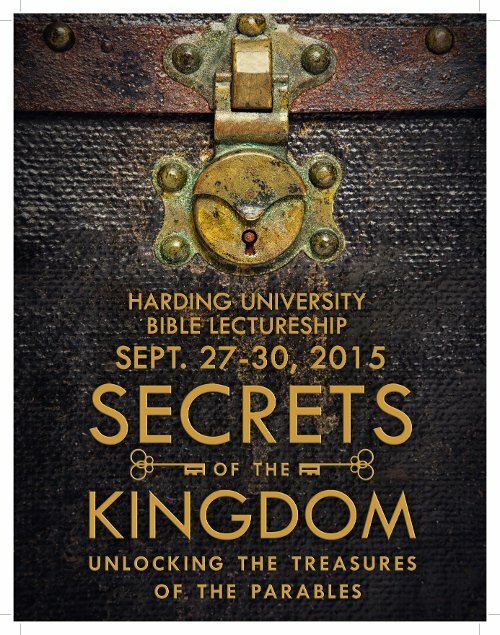 Searcy Arkansas, here we come! I spent a good chunk of Thursday afternoon getting the minivan ready for the 450+ mile trip to Harding University for the upcoming lectureships. Since I'm scheduled to speak on Monday and pray on Tuesday, it might be wise for me to spend extra time on the van. Here's my checklist. That's right, I checked the spare tire. It took me laying on the ground and sliding underneath the rear of the van, but it was worth it. The tire was down to 20 lbs. of pressure! I reflated to 40 lbs. and we were on our way. When was the last time you checked your spare tire? Many people never check it because they've never needed it. 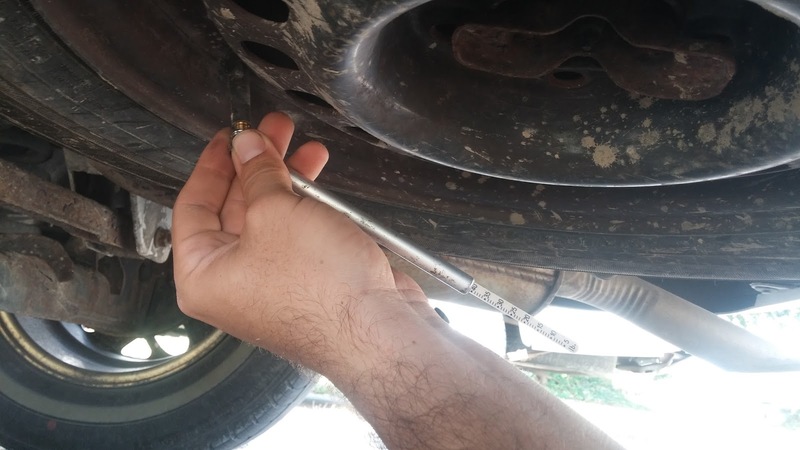 I admit, I don't check it as often as my four rolling rims, but I still grace that tire stem with a periodic kiss from the gauge. You might ask, "Why check the spare? What is the likelihood of a flat?" Some others might say, "I have AAA, they'll come take care of everything." Flat tires really happen more than you think. A UK source states that flat tires account for 10% of all vehicle breakdowns. Yet that statistic isn't why I check my spare. The short answer is because my dad said so. If there is one thing my dad knew in life above all other things, it is his way around a car. Being a Chevrolet mechanic gave him the car know-how that few people now have. If someone with that much intelligence tells you to check your spare tire periodically for air, then you better do it. 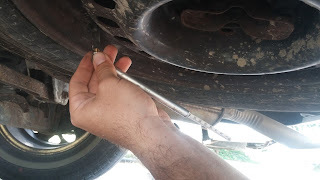 Even though I've never used it, even though I have an emergency air pump in the van, even though I have good new tires, I check the spare because my dad told me to. My young generation lacks the respect for authority and our dads' wisdom that comes from Proverbs 13:1. We consistently make mistakes that could have easily been avoided by listening to dear old dad. Today, as you read this, consider the wisdom of Solomon, who urges us to follow in our dads' instructions. Consider also, the instructions of your Heavenly Father, throughout the Word, as His instruction guides you to eternal life. NACC - Can Bible Camps and Homeschool Groups Be Friends? Today I was given the blessing of speaking to a group of Bible Camp Leaders concerning a possible relationship between the growing Home Educator population and our Bible Camps. With declining numbers and an encroaching school calendar, is this a conversation worth having? Here are the notes from my conversation today. I organize **Ski Trips for Paoli Indiana. Yes, I'm in charge of recruiting skiiers within our association on Homeschool Mondays. That's right, they found that they could offer homeschool days on Mondays to make use of the snow. I organize 4 homeschool days each winter now and I bring 75+ participants each time. Paoli will not open unless there is 250 participants. They have found that there is money in homeschooling. They also really like our clientele because they believe we leave the facilities cleaner and in nicer shape than many of their other clientele. If Paoli decides homeschoolers are worth pursuing, could it be worth the effort for Bible Camps as well? *1840: 55% of children attended primary school while the rest were educated in the home or by tutors. *1852: The "Common School" model became popular and Massachusetts became the first state to pass compulsory attendance law. Once compulsory attendance laws became effective, America eventually relied entirely on public and private schools for educating children. Homeschooling then became something only practiced by extremely rural families, and within Amish communities. *1900: 34 states had compulsory attendance laws. *1960: Educational reformers started questioning public schooling's methods and results. *1980: Homeschooling was illegal in 30 states. *1993: Homeschooling become legal in all 50 states and saw annual growth rates of 15-20%. Last week, the U.S. Department of Education’s National Center for Education Statistics (NCES) released an eagerly awaited report on the number of homeschool students in the U.S. The report showed that the number of homeschool students has grown by almost 300,000 since the last report in 2007. This report was first conducted in 1999, when the NCES found that approximately 850,000 students were homeschooled. In 2003, NCES found that this number had grown to 1.1 million. And in 2007, NCES found that 1.5 million students were homeschooled. The new report concludes that approximately 1,770,000 students are homeschooled in the United States—3.4% of the school-age population. NCES said that among children who were homeschooled, 68 percent are white, 15 percent are Hispanic, 8 percent are black, and 4 percent are Asian or Pacific Islander. "Do you know anyone home educated?" Contact your governement education department - Indiana says that "Homeschoolers may register on the website". Do a google search for your state and type the words "home school" to find local associations. Start small. Try hosting a PE event that only lasts 2 hours for homeschoolers first. 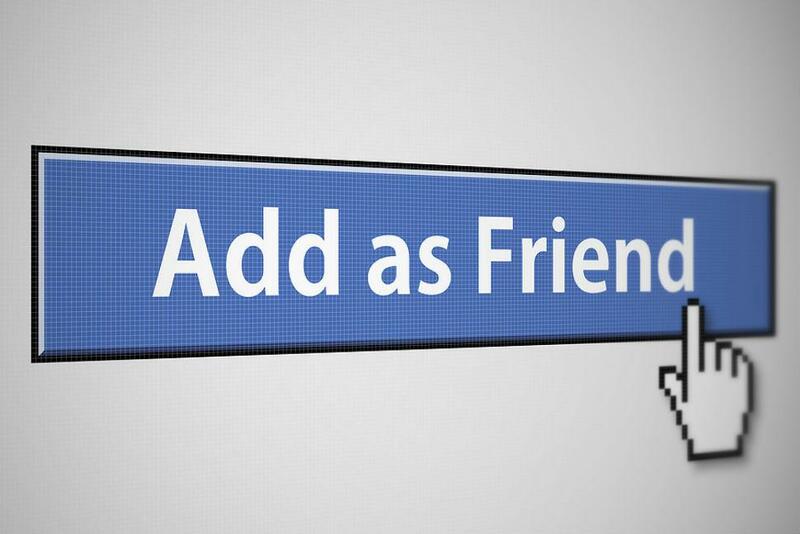 Ease your way into the relationship. Study Starter: Why was Jesus baptized? There are a lot of famous Johns throughout history that we love to talk about. There’s John Locke, the philosopher. How about John D. Rockefeller, the famous entrepreneur? 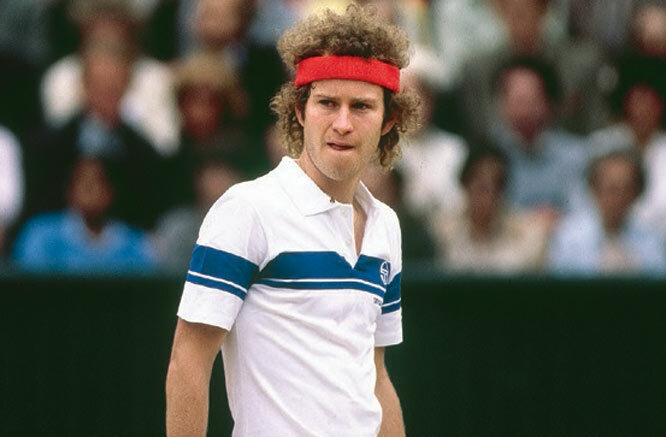 John Candy was a famous funny man; John Cena is a famous athlete; John McEnroe had awful hair and attitude but amazing tennis skills. Thanks for making the purpose of your baptism abundantly clear Jesus. So what was this righteousness that needed to be fulfilled? I can’t find any prophecy in the OT that speaks of baptism. The closest I can come up with is when priests had to be sprinkled, shaved, and washed to begin their ministry (Num 8:7) or when Moses washed Aaron and his sons (Lev 8:6). Yet we don’t see anything about Jesus being sprinkled or shaved, nor was Jesus a priest according to the line of Aaron (he was of the order of Melchizedek in Hebrews5:8-10). From the Synoptic Gospels (Matthew, Mark, Luke) we’re back to the question. 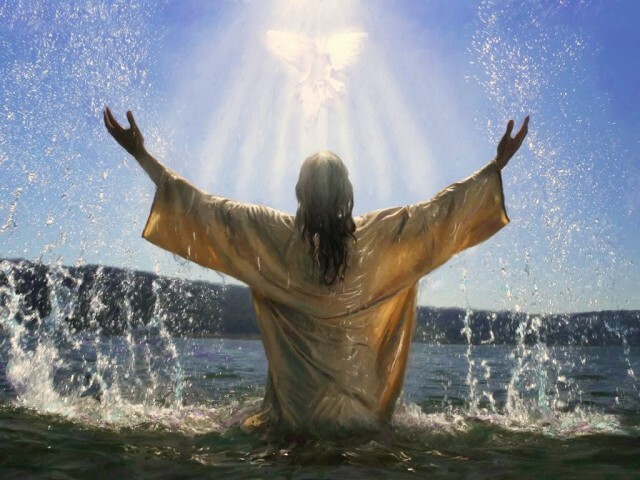 WHY WAS JESUS BAPTIZED? WHAT WAS FULFILLED? I’m thankful that John “the beloved disciple” was a different sort of writer. He often explains things for the curious guy like me in crystal clear ways that I love to read his inspiration. Disciple John’s explanation is pretty simple really when he starts telling the history of John the Baptist in correlation with Jesus. 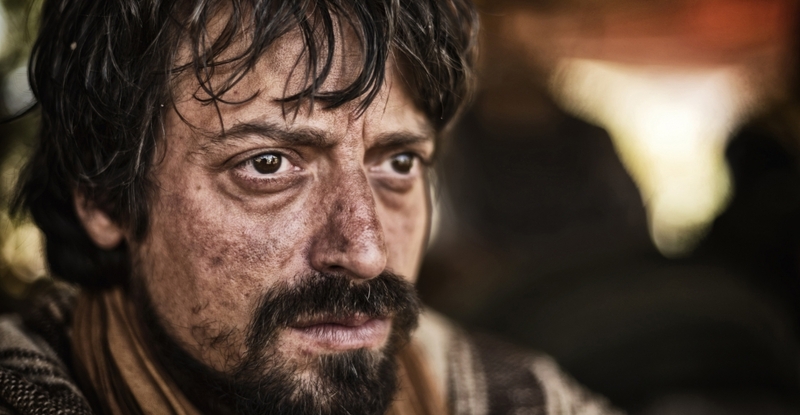 God told John the Baptist in Disciple John's historical retelling, “The man on whom you see the Spirit come down and remain is the one who will baptize with the Holy Spirit.” (John1:33) Then Disciple John records Baptist John saying “I have seen and I testify that this is God’s Chosen One.” Baptist John reveals to Israel (John 1:31) that Jesus is the Chosen One and John the Disciple reveals it to us. Therefore, Jesus' baptism was to announce to JTB, Israel, and us that JESUS IS THE CHOSEN ONE. Fulfillment of JTB’s direct revelation came in this righteous act as well. I’m thankful for God using these two famous John’s to bring us understanding, aren’t you? Baptism was an important start to Jesus’ ministry; so important that all four gospel writers talk about it. Matthew records Jesus directing disciples to baptize people at the end of Jesus’ earthly ministry too. Nine baptisms are recording in the book of Acts, and the remaining letters of the new testament speak of baptism at least 15 times in the KJV. Needless to say, from the beginning to the end of the New Testament, understanding baptism and participating in it was big deal to many of our heroes of faith, and even to the Son of God Himself. God declared to the world Jesus as His Chosen One through Baptism. Have you declared yourself as God’s child through the same manner? Today I remember those police K-9 units that faithfully served in harsh conditions looking for precious people in the midst of the 9/11 attacks. Photo credit to journalstar.com. We chose to take no photos at 9/11. It was late at night on September 13th, 2001 when our Nashville team miraculously arrive at the primary entrance "gate" set up around the rubble. While putting on the work gloves and hard hat, in the dim light of that smokey night, the first brave citizens I was called to serve was a K-9 search unit resting at the rear of the vehicle. Rest for the dog came only by much effort in the rear cage of the vehicle. When the K-9 officer found out that I was in a group of church ministers there to serve, she immediately broke down in tears, surprisingly seeking a consolation hug. She and her unit had been hard at work for 36 hours straight with hardly any rest. Yet her tears were not for herself, but for the dog. 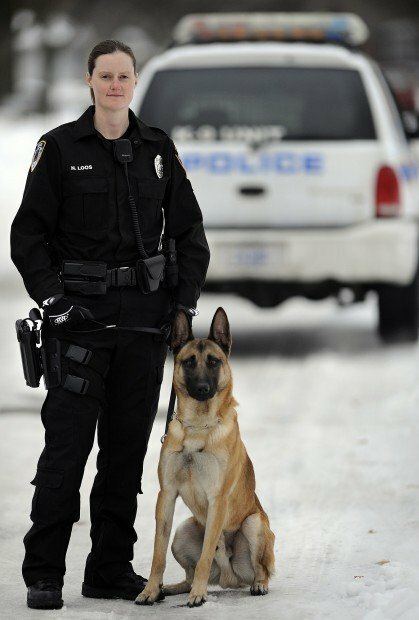 She was worried for her K-9 partner who had experienced so much trauma recently. The officer had noted the dog was becoming edgy, temperamental, and didn't want to go back into the crash zone, even though the forceful commands of the officer demanded otherwise. I remember thinking that it wasn't just the dog that had undergone inordinate amounts of trauma. I remember my heart breaking for them and being grateful for the ability to pray to our God, who could do more healing in the officer's soul than my own talents allowed. Today I remember those K-9 units and their sense of sacrificial duty. Today I remember an officer's care for her partner. Today I remember those that were sustained for days mostly by prayers and hugs. Today I remember and I thank you. There may come a day when my age and my mind fail me and I cease to remember no more. For all those who thanklessly served, we regret that we may forget one day your great deeds, but take heart, our Lord will truly never forget.